Be seduced by scenic grandeur: a panorama of majestic mountains, shimmering lakes, dazzling beaches and azure waters of the Atlantic Ocean. 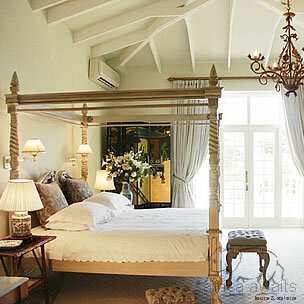 Situated on the warm False Bay coast, a comfortably elegant base from which to explore the interesting and beautiful Cape Peninsula and Winelands, Colona Castle is within easy reach of the airport and Cape Town city centre. Discover all major tourist attractions and sporting facilities within easy reach starting with world- famous Table Mountain and the Waterfront. The historical fishing village of Kalk Bay now reveals its myriad of shops and trendy restaurants. At Boulders Beach, a colony of almost tame penguins are always on parade. Cape Point and the Cape of Good Hope spectacular Nature Reserve are within an easy driving distance with their selection of wildlife. Rondevlei Nature Reserve wetlands hippos and birds, Kirstenbosch Botanical Gardens delight the nature lover. 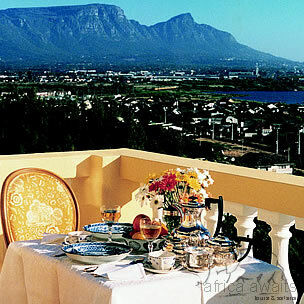 Experience a drive to Constantia’s famous wine estates, to Stellenbosch Winelands on the scenic route along the beach, or to Hermanus around Cape Hangklip. Below, on Sandvlei Lake, there are many boating activities, such as yachting, windsurfing and canoeing. Cruises or deep sea fishing trips, shark viewing trips can be arranged out of Hout Bay or Simonstown harbours. False Bay is famous for its legendary golden beaches and whales. For the more energetic, safe surfing in the rolling waves of Surfers Corner, a venture on picturesque mountain walks amongst the wild flora through the Muizenberg and Silvermine ranges, or on exciting rock climbing for the experienced mountaineer. 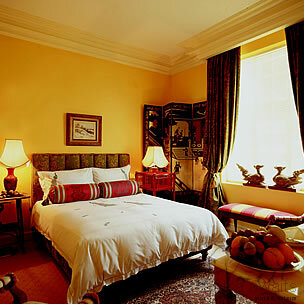 With your holiday, safari or business trip from in to Colona Castle in Cape Town.